St. Louis, May 2015: SKF has introduced its new Lincoln SL-32HV high-vent injectors for applications requiring faster venting. In addition, these injectors provide improved functionality in cold temperatures and enable the use of heavier greases. Designed for indoor or outdoor applications, the SL-32HV high-vent injectors can lower system installation costs, because less-expensive, smaller-diameter supply lines can be utilized. Compatible with all existing Lincoln Centro-Matic grease injectors, the SL-32HV injectors also can be used to upgrade an entire lubrication system. The new injectors have a high venting capability of 400 psi (28 bar) and can pump viscosities up to and including NLGI 2 greases. 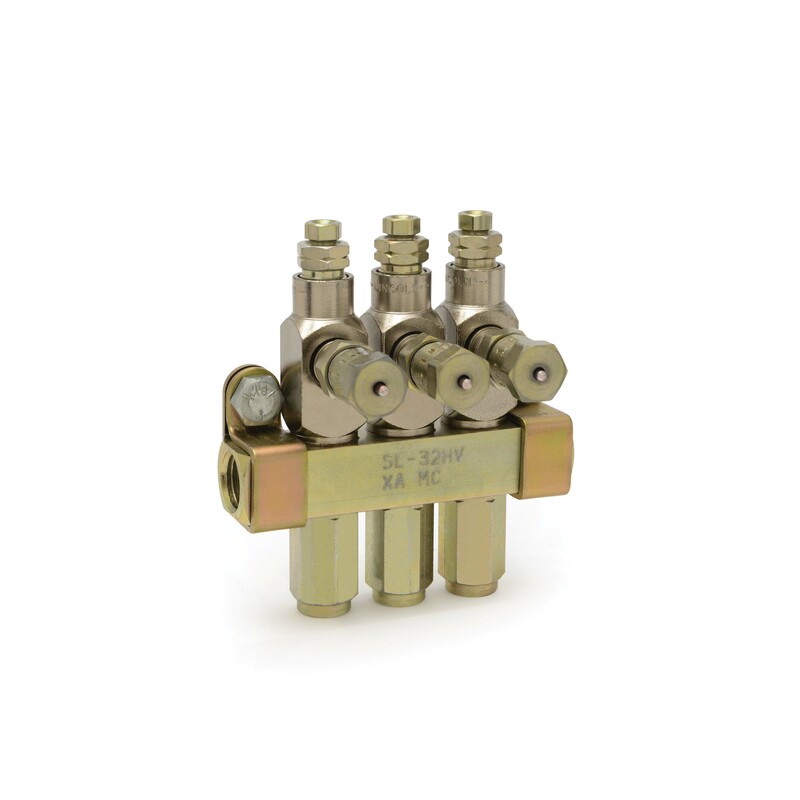 Multiple manifold configurations are available ranging from one to 10 injectors per manifold, and individual injectors can be removed easily for inspection or replacement. Developed for use in a wide range of industries, these injectors are suitable for food and beverage, industrial automation, machine tool, oil and gas, steel, pulp and paper, marine and forestry applications, as well as construction, wind energy, mobile on-road, metal removal equipment and more. For additional information on Lincoln SL-32HV high-vent injectors, contact Customer Service at 1-314-679-4200, Ext. 4410, or visit our web site at www.lincolnindustrial.com.